Welcome to the “Santorini Experience” which is taking place on the majestic island of Santorini. Running lovers will have the opportunity to see and enjoy first-hand the unique paths running along in the world-wide famous island of Santorini. 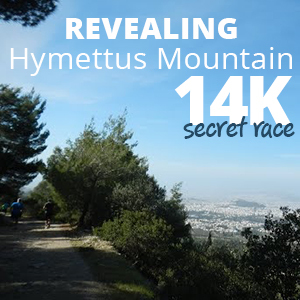 Breathtaking views in an island made from a volcano in the Aegeansea, the participants will run along its unique land. Take the opportunity to participate in the “Santorini Experience 2018” and see on your own why Santorini is one of the most famous islands in the world. Known for its majestic sunset as well as the breathtaking views, Santorini is an island made from a volcano in the Aegean sea. We offer several options varying from short weekend breaks in Santorini including your entry to the race, to a full vacation plan in Santorini and the surrounding area! Moreover, we can offer you training plans, actual training in the streets and routes of Santorini and of course we will run with you! The route of 15 km starts slightly downhill for about 250 meters to a wide dirt road and then follows a strongly uphill path 1,250 m long, with an average gradient of 12%. Then the dirt road path narrows and the form of the ground changes with several stones which need increased attention. The slope is downhill until the point located at 2.5 km. where there will be the first power station. Then the route continues on asphalt road for about 660 meters with moderate uphill slope, to get back on a path where the ground is soft and somewhat loose soil so you need a little attention as it is relatively slippery, with very steep slope for about 700 meters with breathtaking view. Attention at this point, you must move as far on the left side of the trail as possible. The intense uphill ends at 3.8 km at the chapel of Prophet Elias, where a concrete steep alley follows up to 4.5 km which is 500 meters before the second power station at 5km. The next 2 kilometers is also quite steep in stable but fairly hard ground passing through Imerovigli and the view continues to be amazing. We continue up to the entrance of Fira until we get to the church of Saint Gerasimos where you will find the third power station and the reversal point. The way back is the same except for the point after the 11th km where before you reach the chapel of Prophet Elias, you take the paved path (also needs enough attention) on the right side until you get back on the asphalt road at the 12th km and in about 600 meters you get back on the path for the return where we meet the maximum slope just before 13.5 km, which is close to 40% (!) for 100 m. The last 1.5 km of the route is downhill. Start - stop Elevation: 146 m.
Reversal point Elevation: 277 m.
Total positive elevation: 834 m.
Route Ground: Soil path with recessed stones in some places, asphalt road, paved path. The route of 10 km. 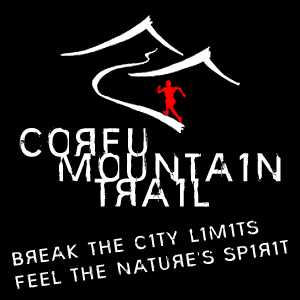 starts slightly downhill for about 250 meters to a wide dirt road and then follows a strongly uphill path 1,250 m long, with an average gradient of 12%. Then the dirt road path narrows and the form of the ground changes with several stones which need increased attention. The slope is downhill until the point located at 2.5 km. where there will be the first power station. Then the route continues on asphalt road for about 660 meters with moderate uphill slope, to get back on a path where the ground is soft and somewhat loose soil so you need a little attention as it is relatively slippery, with very steep slope for about 700 meters with breathtaking view. Attention at this point, you must move as far on the left side of the trail as possible. The intense uphill ends at 3.8 km. at the chapel of Prophet Elias, where a concrete steep alley follows up to 4.5 km. which is 500 meters before the reversing point and the second power station. The way back is the same except for the point after the 6th km. where before you reach the chapel of Prophet Elias, you take the paved path (also needs enough attention) on the right side until you get back on the asphalt road at the 7th km. and in about 600 meters you get back on the path for the return where we meet the maximum slope just before 8.5 km., which is close to 40% (!) for 100 m. The last 1.5 km. of the route is downhill. Reversal point Elevation: 245 m.
Total positive elevation: 570 m.
The route of 5 km. starts slightly downhill for about 250 meters to a wide dirt road and then follows a strongly uphill path 1,250 m long, with an average gradient of 12%. Then the dirt road path narrows and the form of the ground changes with several stones which need increased attention. The slope is downhill until the reversal point located midway (2.5 km.) where there will be a power station. On returning we meet the maximum slope just before the 3.5 km., which is close to 40% (!) for about 100km. The last 1.5 km. of the route is downhill. Reversal point Elevation: 173 m.
Total positive elevation: 313 m.
Route Ground: Soil path with recessed stones in some places. The Mutliple Activities offer is addressed to those who wish to come and stay in Santorini on their own and they are going only to participate in RUNNING AND SWIMMING. This offer is ideal for those who want to experience Santorini the “running way”, and get the most out of their visit in Santorini. We have selected the ideal locations for you, and we will suggest you the ideal vacation plan. It starts from €119 per person (runner or not) for three days/two nights accommodation at Central Fira or Meli Meli Hotel. If you wish to stay longer, you may add as many nights as you want for an additional € 49 per night per person. - Depending on availability we may use a similar or better hotel. This offer is ideal for those who want to experience Santorini the “running way”, and get the most out of their visit in Santorini. We have planned that you leave Santorini on Monday so you have a full day after the event to recover, relax and enjoy this unique island. We have selected the ideal locations for you, and we will suggest you the ideal vacation plan to make the most out of your visit in Santorini. It starts from € 159 per person (runner or not) for a four days/three nights accommodation at Central Fira Hotel in Santorini. Depending on availability we may use a similar or better hotel. If you wish to stay longer, you may add as many nights as you want for an additional € 45 per night per person. It starts from €390 per person (runner or not) for a four days/three nights accommodation at Aqua Vista Hotels ( 4* Star Hotels). Live the best of Greece in one week! Start from the Santorini Experience and the Cyclades islands, discover Athens and celebrate running in the Costa Navarino challenge! Three unique locations, two great events, one amazing city. 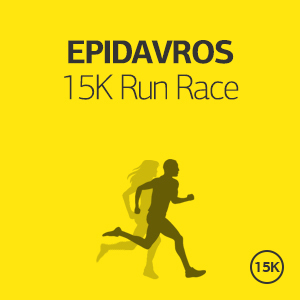 • Tips and advice for the specific race, training schedule depending on your personal targets and the RunninGreece service and support during your stay in Greece! Please tell us all your requirements and preferences, how many days you want to spend in Santorini, what other places you wish to visit and we will come back with a tailor-made offer specific for you! We can add trainings, running tours, car/bike rental, excursions, family activities and many more. In any case our offer will include the hotel arrangements, transportation to and from your hotel, participation to the race and all the logistics of the race entry, transportation to and from the starting line, tips and advice for the specific race, training schedule depending on your personal targets, safe keeping of your belonging during the race and suggested vacation plan for all the days that you will be in Santorini. We can add trainings, running tours, car/bike rental, excursions, family activities and many more. In any case our offer will include the hotel arrangements, transportation to and from your hotel, participation to the race and all the logistics of the race entry, transportation to and from the starting line, tips and advice for the specific race, training schedule depending on your personal targets, safe keeping of your belonging during the race and suggested vacation plan for all the days that you will be in Santorini. RunninGreece provides you all available accommodation options (hotels, Airbnbs, hostels, etc.) at the lowest price online. This pricing is equal or better than what you’ll find on any discount travel or hotel website. Book directly from the map below! In Travel Offers we have handpicked our favorite locations, destinations, and activities to make this trip an unforgettable experience to you. However, we understand that you might want to make your own search and selection. This is why we have gathered in one place all available accommodation options from all different providers. From 5-star hotels to Airbnb small apartments you can find everything here! Of course, you can still use this service even if you do not participate in an event or register to the event from another site. Book directly from the map below! Rent a bike and discover Santorini! Santorini, or Thira, is the top destination in Greece and among the most romantic destinations in the Greek islands and also in the world. Located in the Aegean Sea, in the Cyclades islands, Santorini island was the site of one of the largest volcanic eruptions in the world and what remains today is a submerged volcano and a caldera. Amazing villages has been constructed on the edge of this caldera, with Cycladic architecture and breathtaking view to the sea. Apart from the fabulous caldera villages, Santorini Greece is also famous for the romantic sunset, the volcano, and the luxurious resorts. The event that marked its history was the enormous volcanic eruption of 1,650 BC. This eruption changed the circular shape of the island and created the famous caldera, on top of which picturesque villages were constructed in the Medieval times. The caldera villages of Santorini Greece are incredible with their traditional architecture, the paved streets and the breathtaking view to the sea. The village of Oia, in particular, is famous for the romantic sunset. Book a hotel at the caldera and the experience of your Santorini holidays will be unforgettable. Also do not miss the restaurants with the amazing view to the volcano. This volcano can be visited by boat tour from the old port of Fira. On the southern side of the island, there are large beaches to enjoy a day in the sun. Kamari and Perissa are the best organized beaches and famous for their black sand, while very popular is the Red Beach. Close to the Red Beach is the Minoan Site of Akrotiri, which was covered in volcanic ash by the eruption of Thira. Santorini is famous for its romantic sunsets. The best sunset on the island is seen from Oia, but equally gorgeous are the sunsets from all the caldera villages. Great poets have sung its praises, a 4.000 year old history. The marvelous dry climate and the almost unbroken sunshine create, all year long, conditions which are perfect for observation, photographs and videos under an extraordinary variety of natural lights and colors.